During our stay at Broke Fordwich, Rindala and I toured vineyards with our wonderful tour guide, Meredith from A Wine Tour in Broke. These vineyards included Whispering Brook, Broke Promise and Catherine Vale. But one special place captured our little hearts, a place called Krinklewood. It was our very first vineyard visit and what a wonderful way it was to kick start the tour. Krinklewood is a French inspired boutique winery and vineyard that is owned and operated by Rod and Suzanne Windrim. It is a family business that prides itself on having all family members in the mix and contributing to a seamless operation. Krinklewood is a Biodynamic Vineyard, which means no nasty additives that we're all unfortunately a little too used to. Rod's explanation of the organic operation was so intriguing - but it all came back to his simple theory of taking it all back to nature's roots. And it only seemed perfectly logical to me! As if the beautiful surrounds weren't enough to win us over, Rod went on to explain the dynamics of Krinklewood as we wandered around the 48 acre vineyard that consisted of the most beautiful lush gardens, confident peacocks, feature urns and fountains. Now let me tell you, when it was time to leave, walking away from this vineyard was not easy. It's one of those places that draws you in, and you just don't know how deep until its time to leave. Upon our departure, we just felt it in our bones; Krinklewood won us over, effortlessly. 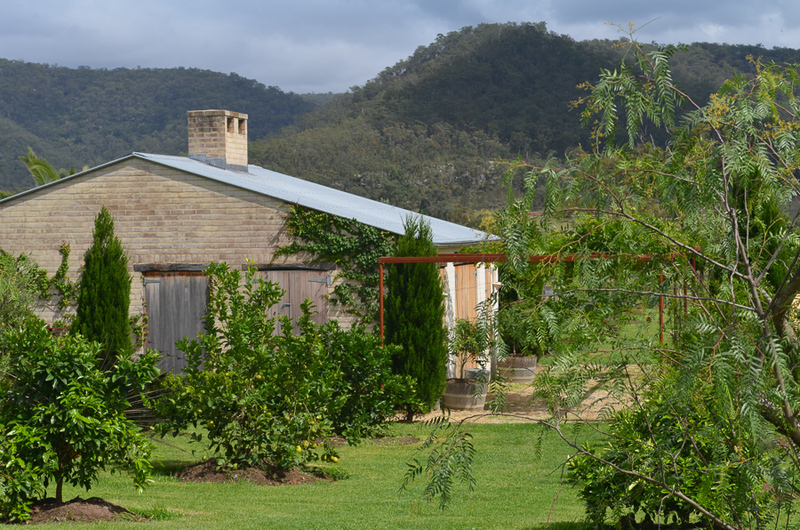 If you're considering a visit to the Hunter Valley region this festive season, you must swing past Krinkelwood. Wine lovers or not, you will fall in lush magical love. Elaine experienced the sweet life in Broke Fordwich as a guest of Broke Fordwich Wine & Tourism Association.